Boasts an extremely durable exterior with room in its 3 main compartments to protect all your goods. Dedicated compartments for your laptop, tablet device, gaming accessories, magazines and flash drives. Sleek industrial design. Features adjustable, non-slip padded shoulder and chest straps for your comfort and support. Reinforced, padded, molded and vented back panel provides additional support. Durable, high-density nylon constructed exterior protects your gear in style. Plenty of Space: With the Vindicator Backpack’s 3 large, main compartments and several additional pockets, you can be sure that you can bring all of your gear with you. Find it in a pinch: With a dedicated padded laptop compartment, a soft padded pocket for your tablet device and specific spaces for files as well as zippered pockets for small accessories, you won’t have to fish around to find what you’re looking for. Call the shots on the road: Strap in your headphones to a dedicated toggle strap that allows your headphones to be easily stored and easily accessed while on-the-go. Be comfortable on the road: The padded back panel and shoulder straps make wearing this backpack comfortable for long periods of time. 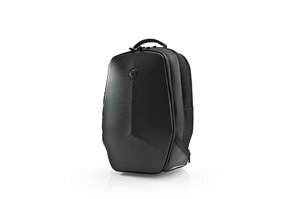 The chest strap helps secure the backpack on evenly on your back.